Stone Arch Books, 9781496505323, 160pp. 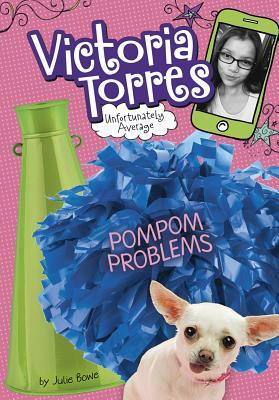 Now that Victoria Torres is in middle school, being popular is more important than ever, and Victoria is positive being a cheerleader is the best way to secure her popularity. Her best friend Bea agrees to try out with her, but Victoria is going to need a lot more than Bea's support to make the squad. The competition is stiff and includes the awful Annelise. Will Victoria remember that being a positive role model is just as important as nailing her cartwheel, or will tryouts leave her feeling far below average?